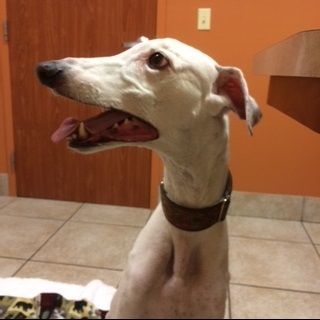 Yesterday I had to say goodbye to my almost 12 year old greyhound Sir Bentley He was my best friend and was my true love he was there for me when even my 2 kids were not. At his vets office he was known as the "chick magnet" as women always admired his handsome looks and charismatic personality. I will miss that hound until I see him again at the Rainbow Bridge. Run free Sir Bentley you were so loved.